Lot Detail - 1959 Topps Corsair Outfield Trio Roberto Clemente #543 baseball card A beauty! 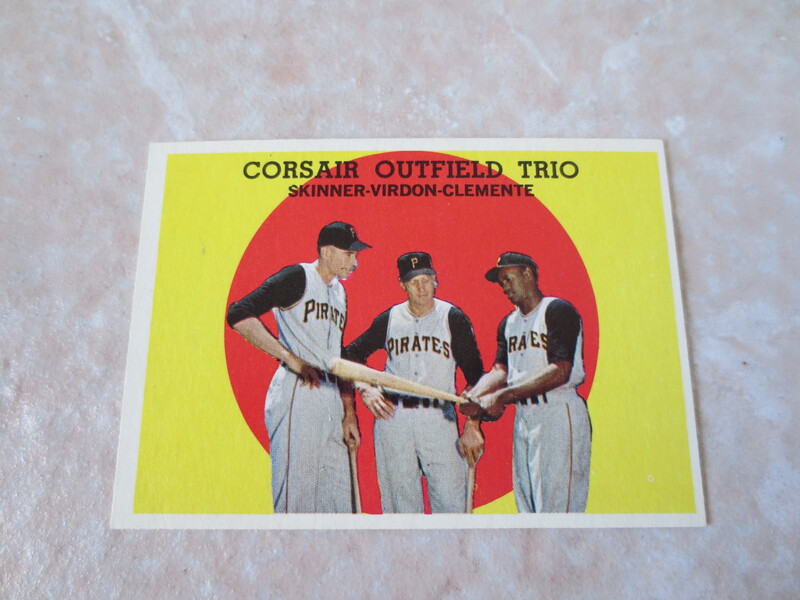 1959 Topps Corsair Outfield Trio Roberto Clemente #543 baseball card A beauty! 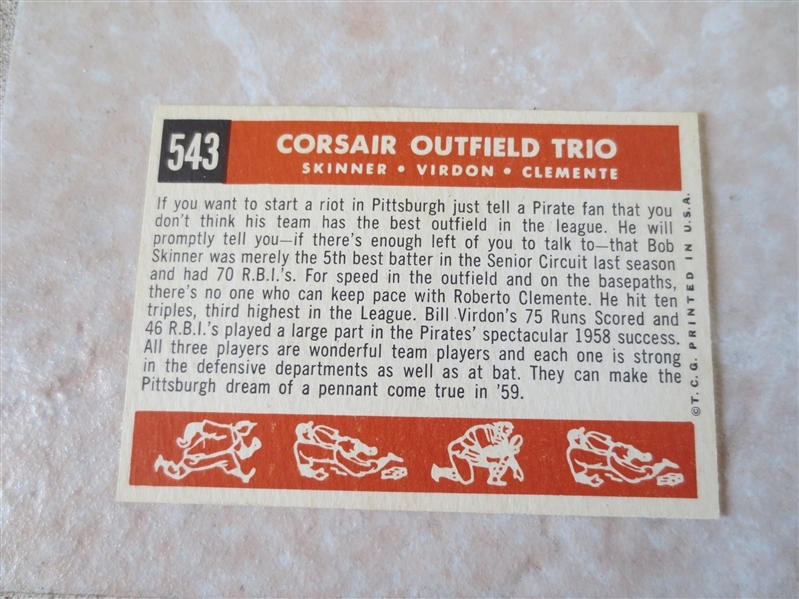 What we have here is a 1959 Topps Corsair Outfield Trio #543 picturing Roberto Clemente in super condition. I only grade it near mint plus because of the centering (see photos).